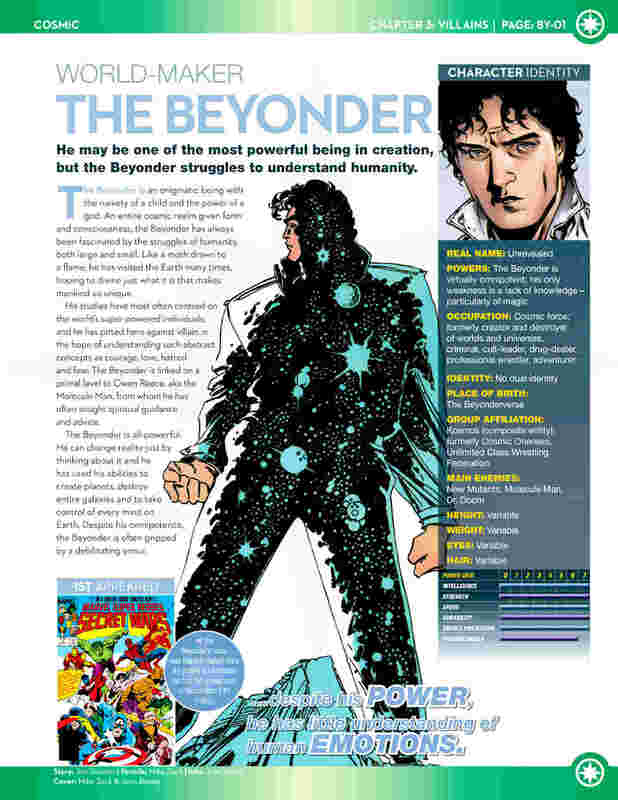 Marvel Handbook wrote: The Beyonder is all-powerful. He can change reality just by thinking about it and he has used his abilities to create planets,destroy entire galaxies, and to take control of every mind on Earth. Despite his Omnipotence, the Beyonder is often gripped by a debilitating ennui. Marvel Handbook wrote: Fearing Kosmos's power, the demigod Thanos tossed her into the bowels of the Kyln, an interstellar prison on the egde of all known space. The Kyln was destroyed, however, when the destructive Annihilation wave swept through the universe. The corpse of Kosmos was found amongst the wreckage, prompting fears that the Beyonder's non-corporeal form was once more abroad in the universe. 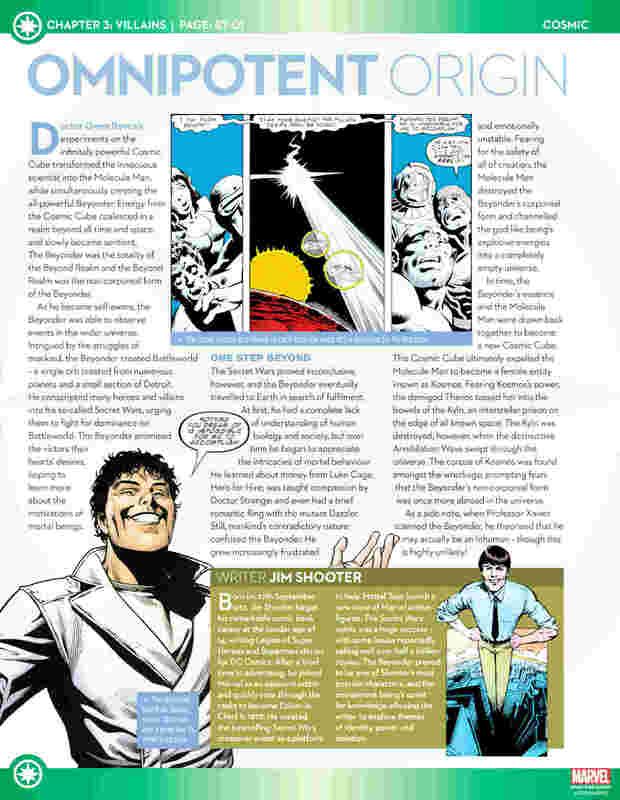 Secret Wars Beyonder was God!